See you at The Vaults in Rugeley on Saturday night – The Continued Adventures of a Kick-Arse Guitar Combo! 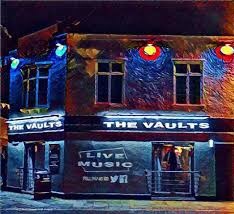 It’s always great to return to a venue where we’ve had some good nights, and the Vaults in Rugeley is no exception! Very welcoming and appreciative audience that likes to party! We’ll be on stage from approx 21:00 on SATURDAY 3rd JUNE. Come and be part of The Nations Recreation! See you down the front with your dancing shoes on! PreviousDursley audience requests originals over covers….